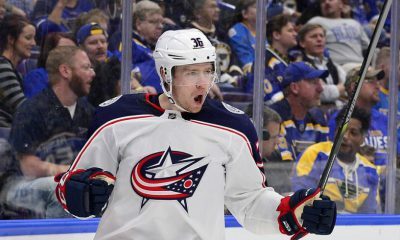 COLUMBUS, OHIO – The Columbus Blue Jackets have signed center Alex Broadhurst to a one-year, two-way NHL/AHL contract for the 2016-17 season, club General Manager Jarmo Kekalainen announced today. As is club policy, terms were not disclosed. Broadhurst, 23, recorded 10 goals and 26 assists for 36 points with 14 penalty minutes in 60 games with Cleveland’s Lake Erie Monsters, Columbus’ AHL affiliate, during the 2015-16 regular season. He finished third on the club in assists and fifth in points. Broadhurst added 3-9-12, six penalty minutes and a +1 plus/minus rating in 17 playoff games to help Lake Erie capture the 2016 Calder Cup championship. He was second-T on the team (fifth-T in the AHL) in postseason assists and fifth-T in points. 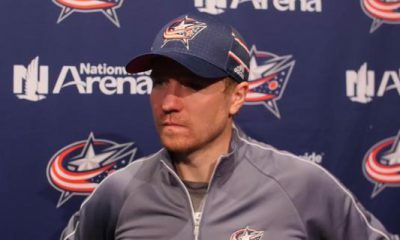 COLUMBUS, OHIO — The Columbus Blue Jackets have signed center T.J. Tynan to a one-year, two-way NHL/AHL contract for the 2016-17 season, club General Manager Jarmo Kekalainen announced today. As is club policy, terms were not disclosed. 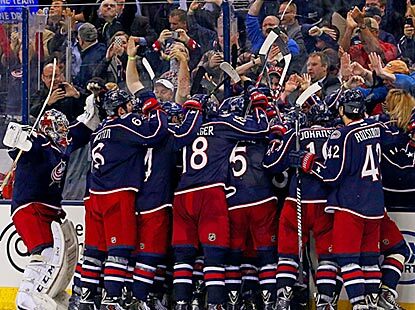 Tynan, 24, registered six goals and 40 assists for 46 points with 38 penalty minutes and a +7 plus/minus rating in 76 games with Cleveland’s Lake Erie Monsters, Columbus’ AHL affiliate, during the 2015-16 regular season. Setting career highs in assists, plus/minus and games-played, he finished 12th-T in the AHL in assists and led the Jackets’ AHL affiliate in assists and points for the second-straight campaign. He added 1-5-6 and eight penalty minutes in 17 playoff games to help Lake Erie capture the 2016 Calder Cup championship. COLUMBUS, OHIO — The Columbus Blue Jackets have signed defenseman Scott Harrington to a one-year, two-way NHL/AHL contract for the 2016-17 season, club General Manager Jarmo Kekalainen announced today. As is club policy, terms were not disclosed. Harrington, 23, was acquired from the Toronto Maple Leafs in exchange for forward Kerby Rychel on June 25. 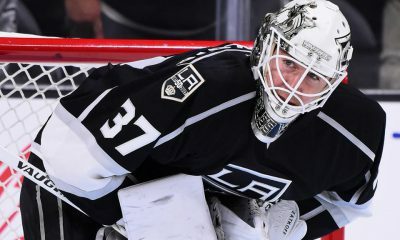 He registered an assist and four penalty minutes in 15 games with the Maple Leafs in 2015-16 and added 1-2-3 with 14 penalty minutes and a +4 plus/minus rating in 17 games with Toronto’s American Hockey League affiliate, the Toronto Marlies. He was acquired by Toronto as part of a trade from the Pittsburgh Penguins on July 1, 2015.